The Wrong Number Family Of BBS’ is proud to announce our newest and final piece of The Wrong Number BBS’. The Wrong Number V is running the Beta Version of Image BBS v2.0 on an Emulated C64 in WinVice. Unfortunately, at this time it is only running at 2400 baud. I use the term unfortunately for those looking for a fast BBS, but if you are looking to experience the 90’s BBS scene this is the BBS to call.. 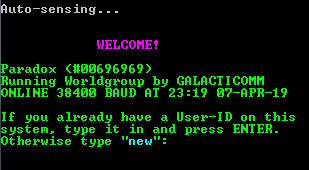 The BBS is a basic Image 2.0, one of only a few running 2.0. Give us a call and experience the past..
Connect to Wrong Number V BBS Now! This BBS is using a non-standard telnet port (6408), the web telnet script may not work.